The UAV Academy offers to you a unique training package to enable you to gain your UK CAA Permission for Commercial Operations (PfCO) in the most convenient and cost-effective way possible. The theory part of our CDP-C™ Online course (Stage 1) combines online learning with instructor-led ‘virtual lessons’ to bring you the best of online and classroom-based training. We have taken advantage of the best technology available to deliver a superb training package which can be delivered at a very competitive price. We have also invested in technology, approved by the CAA, which allows you to take the formal theory exam online at home (or at work) when it suits you. This unique feature of our course means that you do not have to take time off work. or spend money on travel and accommodation to attend a ground school course. Once you have completed Stage 1 of the course you move on to Stage 2, the practical part of the course which is the creation of an Operations Manual and then taking your Flight Operations Assessment with one of our Examiners. The ONLY time you need to travel is when you take your Flight Assessment. The CDP-C™ Online course leads to the issue of a UK CAA Permission for Commercial Operations (PfCO). The PfCO allows you to fly your drone commercially. The theory part of our course is unique in that it combines a high quality printed course handbook with e-learning, ‘virtual lessons’ and a CAA approved online theory examination which you can take at home at a time to suit you. Once you have completed the theory part of the course you use our Operations Manual Standard as the basis for creating your own Operations Manual. Then, when you are ready, you take your half-day Flight Operations Assessment at one of our locations around the UK. When you undertake your Flight Operations Assessment we provide up to an hour of flight instruction prior to you doing your Assessment. If you need more than this, we offer flight training ranging from basic flying skills right through to advanced skills training for professional pilots wanting to be able to deliver exceptional results to their customers. We have Flight instructors in eight locations around the UK. Call us and ask about a convenient date and location that suits you. If you are considering using drones to enhancing your business then we are very happy to have an informal discussion with you to help you determine whether your plans are feasible, given current regulations, and to help you understand the key issues relating to the equipment and staff training. We do also engage on a more formal basis to provide assistance and guidance related to the use of drones in business. If your business is already operating drones we offer a service to help you update your Operations Manual to meet current CAA and regulatory requirements. The CAA has set down the syllabus for the theory part of the course. The scope of the theory course is broad, but it is not complicated and no calculations are required. Once you have completed the course materials and confirmed your knowledge by taking the mock examination, you take the formal theory examination online at home or at work. Operations Manual: Once you have finished Stage 1 the next step is to create your Operations Manual. This is a very important document as it forms the basis for your CAA Permission. It is therefore crucial that it is well-written and you must understand and be entirely familiar with its contents. The CAA has published an Operations Manual template and this is a great place to start, as it sets out the document structure they expect to see and provides useful guidance notes. However, the CAA template provides very little actual content, so it requires for you to write the content and this takes time and can be a little daunting if you are not used to this sort of document. For this reason, we provide, as part of the CDP-C™ course, our Operations Manual Standard which gives you a great starting point for creating your own Operations Manual. Flight Operations Assessment: Everything you have learnt on Ground School and the procedures you set out in your Operations Manual come to together for the last part of the course which is a Flight Operations Assessment (FOA). This takes place at a location convenient to you and on a date agreed with your examiner. The FOA will take the form of an imaginary client request for Aerial Work. We will send you a client brief, with details about the location and what you are being asked to do. You will need to demonstrate to the Examiner that you are familiar with and fully understand the procedures in your Ops Manual and that you, as Remote Pilot, have the flying skills necessary to conduct the flight competently and safely whilst operating within the rules and regulations laid down by the CAA. New for 2019, your Flight Assessment insurance is included (for free) as part of our course cost. This is provided by our insurance partner, Flock who offer flexible insurance through an easy-to-use mobile app. 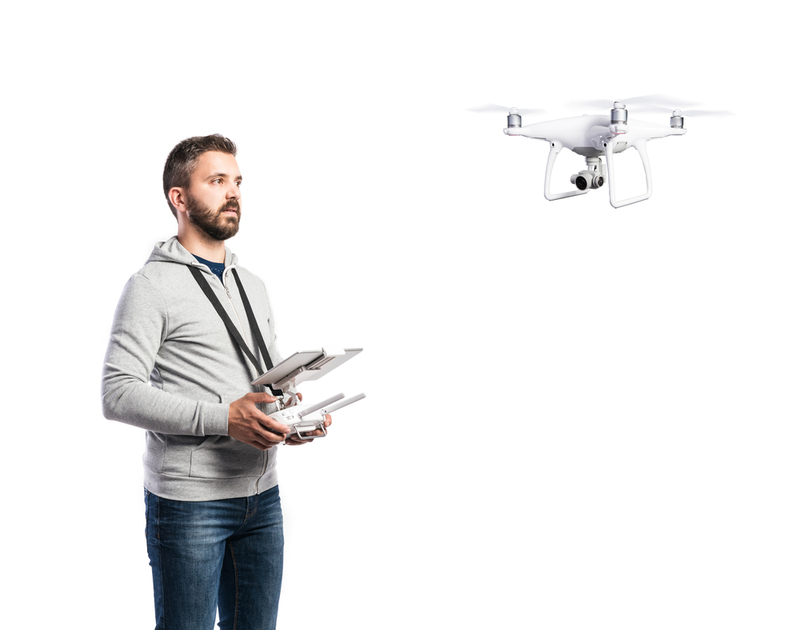 There are many companies in the UK offering training for the PfCO qualification to allow the use of drones for commercial use, so how do you decide which of these companies to trust your development to? With UAV Academy my experience from the very first contact has been outstanding. Andrew took time to talk through the PfCO course with me in great detail, answered any of my questions and confirmed it was the right course for me. The quality of the printed training materials supplied, combined with simple to use online learning allowed me to prepare well in advance of the classroom learning. We understand that gaining your Commercial Drone Qualification and a CAA Permission for Commercial Operations (PfCO) is a serious undertaking. You will be investing a significant amount of both money and time, so we feel it is very important that you fully understand the process, the options and what will be required of you. On the right you will see a few of the most common questions we are asked. If you have any other questions please contact us by phone on 01285 610038, by email to info@uavacademy.co.uk, or via our Facebook Page. We love to talk with our customers, so please get in touch. Why do I need a commercial drone pilots licence? If you are only going to be flying your drone for fun then you do not need a license, or more accurately a CAA Permission for Commercial Operations (PfCO). However, if you intend to use your drone for any sort of commercial purpose then you need to have a PfCO otherwise you will be breaking the law. This depends entirely upon the level of experience you already have. If you have never flown a drone before you will need to develop the necessary skills to be able to fly safely before you will be granted a PfCO. We have had a few people complete the course within a week, but most take around 4 to 6 weeks. You must complete the Flight Operations Assessment within 6 months of passing the Theory Examination. Can you train me to fly? The CAA do not require for you to have any flight instruction. They rely on our assessment of your knowledge and skills. However, we include one hour of flight instruction immediately before you do your Flight Operations Assessment. We also recommend that you book at least half a day of additional flight instruction with one of our Instructors. This will give you the basic skills and a good framework for self-training. The Instructor will make sure that you understand what will be expected of you when you do your Flight Operations Assessment. Does my CDP-C™ qualification need to be renewed? The CDP-C™ qualification awarded to you on successful completion of the course does not expire, so it is life-long. The UK CAA does have a pilot currency minimum and requires you to provide logbook evidence of 2 hours drone flying time in the last three months for each pilot when you submit your application to renew your Permission for Commercial Operations.